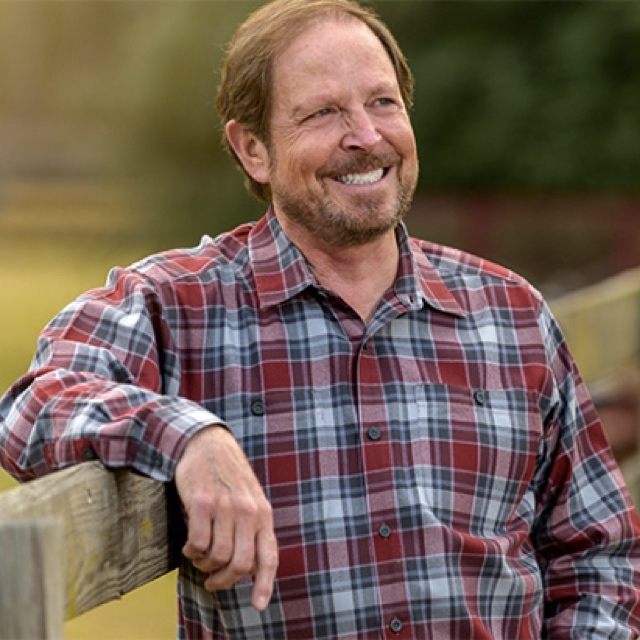 James Templeton has lived the past 33+ years cancer-free following a stage 4 Melanoma diagnosis. In his new book, I Used to Have Cancer, James chronicles how he created a miracle mindset and a change in lifestyle and diet to overcome his devastating diagnosis – and how he’s now working to inspire others to have hope, even in the face of a terrible disease. James shares with his readers his own powerful daily routine, including the positive habits, regimens, and recipes he uses to remain healthy day-after-day. He is the also the founder of the Templeton Wellness Foundation, where he regularly chats with and interviews cancer patients, sharing their stories and inspiring others to adapt a lifestyle and mindset that can inspire hope and make all the difference. It’s so important to sweat every day – whether that’s hopping into a sauna or through physical activity. By sweating, the body can rid itself of toxic wastes and make it easier for the immune system to work its magic. Daily detox drinks, like superfood smoothies with powdered greens including chlorella and dandelion team, and seasonal herbal GI cleanses that clear out mold and bacteria are also very important when cleansing the body of unwanted toxins. Food that’s rich in probiotics, like miso, tempeh and sauerkraut, combined with plenty of leafy, plant-based veggies, like brussel sprouts, are crucial for flooding the system with immune-boosting phytonutrients. Phytonutrients may help prevent disease and can keep your body working properly. Certain vitamins, amino acids and plant extracts can help the body build up natural defenses and are easy to include in a daily regimen. While everyone knows about the power of Vitamin C when fighting a cold, some other important immune-building supplements include proline, lysine, and green tea extract. There is no hidden secret to James’ success – He assures everyone that it’s simply so important to practice the everyday commitment to basic common-sense health rules. The body needs a full 8-hours of sleep, lots of purifying water, a diet rich in probiotics and phytonutrients, relaxation, and to practice gratitude and forgiveness every day. By all standards of success, James Templeton seemed to have it all. He was a highly successful businessman, had a beautiful wife and daughter, and, only in his early thirties, had his whole life in front of him. To avoid the same fate as his father and grandfather, who both died of heart attacks at a young age, James became an avid runner―a passion that he believed helped him stay fit and healthy. Imagine his shock when, during a routine physical, his doctor noticed a mole on his body that turned out to be a melanoma―a dangerous form of skin cancer. The mole was removed immediately and James, who was diligent in his follow-up exams, appeared to be cancer-free―but only for a short while. When the cancer reappeared and had spread, on the advice of his doctor, James followed the conventional medical protocol, which included surgery and chemotherapy. He was also involved in a clinical trial. When he learned that the treatments weren’t working, James was obviously devastated. He had reached a new low point in his life, and as he lay in the hospital bed, he prayed fervently for help. As if by some miracle, help came to James in the form of three different visitors who would change the course of his life―and help direct him on a path back to health. I Used to Have Cancer is James Templeton’s memoir―an inspiring look back at his unique journey in overcoming stage 4 melanoma. James takes you with him on a trip crisscrossing America, during which he shares the various natural approaches he followed to battle his cancer―from diet and supplements to meditation and lifestyle adjustments. As his journey continued, you will see first-hand how James’ definition of success changed from making money to seeing the next sunrise. And how he continues finding success by reaching out to others to share the lessons he has learned. This entry was posted in Health and tagged 360, 360 Magazine, amino acids, detox, diet, disease, health, i used to have cancer, immune-building, james templeton, medicene, Memoir, phytonutients, plant based, probiotics, recovery, relaxation, skin cancer, stage 4 melanoma, Tara McDonough, Vaughn Lowery, vitamin c on April 15, 2019 by wp360mag. Happening right now, drug addiction in the US has reached epidemic proportions. What’s worse, only 11 percent of those people will find the right treatment. It’s time to eliminate the stigma and focus on a tangible solution, rather than the problem. Mallory Neuberger lived a double life for years, suffering from a soul-crushing addiction to cocaine while hiding behind a successful career and raising two children. After finding sobriety, she has made it her mission to help others by opening and running sober houses for women. This entry was posted in Health and tagged 360, 360 Magazine, addiction, cocaine, disease, drug addiction, epidemic proportions, health, lifestyle, Mallory Neuberger, New book, recovery, release, sober.house., stigma, Tara McDonough, treatment, Vaughn Lowery, women on April 3, 2019 by wp360mag. Wendy Williams made headlines last week when she revealed that she’s living in a sober house; but less than one week later she left work, checked out of the facility, and went on to drink alcohol until she was hospitalized. So, what went wrong? Sobriety is not something that we can pay for. As a recovering cocaine addict, I had to admit that I was an addict and that I was ready for a drug free life. In essence, I had to hit my bottom. Some people die before they find the willingness to get sober. Others need to end up in prison, homeless, or selling their bodies and souls to feed their disease. And many, like myself, don’t lost their homes, cars, jobs or families, but find themselves spiritually void and miserable, with their drug of choice no longer providing the relief that it once had. Wendy Williams is going through difficulties in her marriage. Her husband is rumored to be cheating on her, and his mistress is pregnant. Despite appearing on television daily, living in a sober house, and paying a sober coach to keep tabs on her 24/7, she still couldn’t handle her heartbreak and to alcohol to numb her pain. The next day she was back on TV. In my opinion, she isn’t ready. Ethical sober houses keep residents safe by breathalyzing and drug testing them. They have guidelines to provide structure, including curfews, chore checks, and mandatory attendance at 12-step meetings like A.A. or N.A. There are organizations that certify sober houses as good operators, so it’s important to be sure that you are choosing a place that truly has the residents’ best interests at heart. Sober houses offer a sense of community. They are filled with residents and staff who are all trying to stay sober and meet life head on. There is always someone to talk to, so we are never alone. In my sober houses we emphasize healthy living, encouraging good eating habits and exercise. We practice yoga and we meditate together. We offer fellowship where we eat, laugh, play games, make crafts, listen to music, and sit by the pool. We celebrate together, helping one another get through birthdays, holidays and anniversaries without picking up. We are houses filled with sober women and we are like a big family filled with surrogate mothers, daughters, sisters, and friends. We cry together, and more importantly, we laugh. Putting down drugs and alcohol seemed like the only way I could live, but what kind of a life was it going to be? I feared that I would be socially awkward without my expensive wines or a frozen margarita with salt. I didn’t think I would be able to stay awake without my beloved cocaine. I was losing my best friends – drugs and alcohol – how would I ever have fun again? The sheer happiness that I have found as a sober woman is greater than any high that I ever experienced. I wake up every morning without a hangover or user’s remorse. I dance whenever and wherever I can, even while trying on clothes in stores, or at parties where nobody else has hit the dance floor. I run by the beach, singing out loud, without worrying that I may die of a stroke due to last night’s excesses. I practice yoga and can actually “be” on the mat for ninety minutes, breathing freely through my once stuffed nostrils. I have a disease, and that disease is called addiction. I am no longer ashamed and hiding behind it. Addiction is not a weakness or a character defect. It is a debilitating disease without a medicine to cure it. Money cannot buy my recovery, but working a daily program can keep me sober, one day at a time. Every day I go to a 12-step meeting. I remind myself that I’m an addict in recovery and I reset my brain and ask for the strength to remain sober just for today. I am of service to others in recovery, showing them that this simple program works. It isn’t always easy, but it is always worth it. My worst day sober is always better than my best day high, because I am authentic and free and living the very best version of myself. I hope that Wendy Williams hits her bottom soon, and without any terrible consequences. I would love her to live in one of my sober houses. 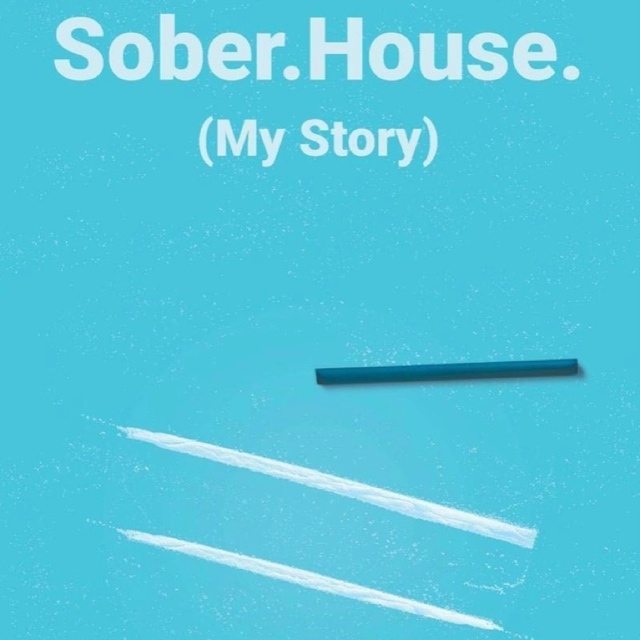 Mallory Neuberger, MS, CRRA, author of Sober.House (My Story), is the executive director of The Frog Pad, a safe and structured holistic healing house for women in recovery from drugs and alcohol. 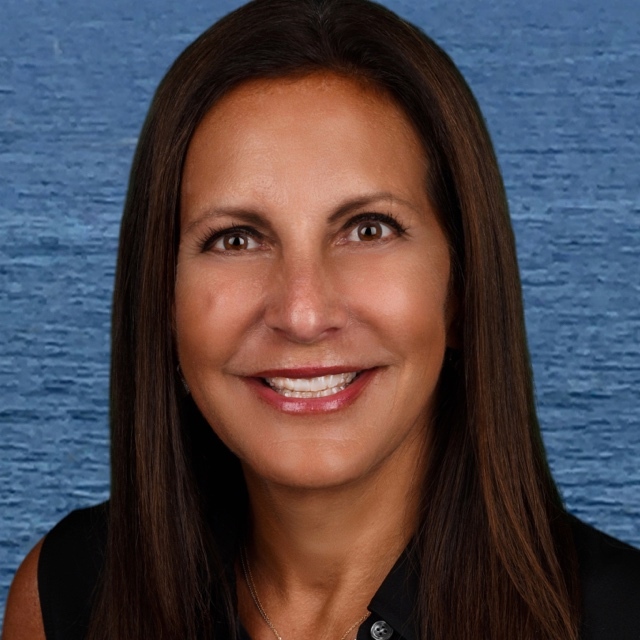 After struggling with her own addiction, Neuberger has dedicated her life to helping others find sobriety, volunteering at drug recovery centers including Hazelden IOP, The Addiction Institute in NYC, Gods Love We Deliver, and soup kitchens. She was also employed at Behavior Health of the Palm Beaches before opening her first sober house. This entry was posted in Health and tagged 360, 360 Magazine, A.A., addiction, alcoholism, anxiety, Behavior Health of the Palm Beaches, community, curfew, depression, drugs, ethical sober houses, Gods Love We Deliver, Hazelden IOP, health, healthy, Mallory Neuberger, N.A., recovery, Sober, sober houses, Sober.House (My Story), sobriety, structure, Tara McDonough, The Addiction Institute in NYC, The Frog Pad, Vaughn Lowery, Wendy Williams on March 27, 2019 by wp360mag. April is Esophageal Cancer Awareness month. According to the American Cancer Society, the 5 year survival rate (all stages combined) is 19%. As the seventh most common cancer amongst men, it is estimated that over 16,000 deaths will occur from it in 2019. Men are 3-4 more times likely to develop esophageal cancer than women. Ron Coury’s story offers an uplifting and inspiring survival story in time for Esophageal Cancer Awareness. In November 2005, I went to Santa Barbara for my annual physical with Dr. James Murray, a practice I’d begun 20 years earlier. I was in great shape, weighing in at 185 pounds at 53 years of age. I regularly ran three to five miles around the lake adjacent to my house in Las Vegas, and enjoyed full workouts and lifting weights. Still, my dad had fought cancer for more than two decades, eventually losing his battle in 2002. Deep inside, I always felt cancer would find me. As usual, my physical began with an hour-long meeting with Dr. Murray. During our conversation, I mentioned one small oddity. Among a battery of tests, he ordered a barium swallow. When I was done, I headed back to Dr. Murray’s office expecting to get another glowing report. However, this time there was a glitch. The radiologist noted that during my swallow test, it appeared that the barium passed over a small bump at the base of my esophagus. Probably just a food fragment stuck to the wall, but the doctor ordered a procedure to play safe. Unfortunately, it revealed a tumor. And a malignant one at that. Dr. Murray recommended a surgeon at USC Medical Center in Los Angeles, Dr. Tom Demeester, who specialized in esophageal cancer. He explained that even if I qualified for surgery, only eight percent of people diagnosed with esophageal cancer survive it. Luckily, the tumor was caught early in its development. And I was an excellent candidate for surgery, an ordeal that could take up to 12 hours. The bad news? This type of tumor was highly invasive. The surgeon would have to remove a perimeter around the tumor, as well as nearby lymph nodes and upper stomach, take out the majority of my esophagus, then connect what was left between my throat and stomach. He explained that life would change for me in major ways. I could never lie flat again, because without an esophagus, whatever was in my stomach could come up my windpipe and choke me. Also, I could only eat small meals from that point on. During my surgery, I did see just such a light. As if watching the doctors and nurses from above the operating table, I saw myself facing the light. Remembering Mark’s words, I turned and did, in fact, run. Was it real or a dream? Did it happen when I was bleeding out from my spleen, which got pierced during the operation? I’ll never know. My next conscious thought came when I woke up in post-op. The first night was brutal and the pain was really rough, but I was alive! Things turned bad quickly. I was in ICU for several days after developing the dreaded staph infection, MRSA. Next came blood clots in both of my legs. And a collapsed lung. Finally, they moved me into a regular hospital room where I remained for a month. By the time I was cleared to return home in January, I still had a drain in my side, and a feeding tube remained in place. Over the course of 2006, I gradually grew stronger and I was finally allowed to start eating small amounts of solid food. As I’d been warned, the pain was through the roof. But I was thankful to resume a reasonable facsimile of normal life. After the fifth PET scan, Dr. Demeester declared me cancer-free. I’ll never forget him for the life-saving surgery he performed. Nor will I ever be able to adequately thank Dr. Murray for discovering the tumor so early. I lost over 40 pounds during my month-long hospital stay, along with a great deal of muscle mass. A few years later, I’d gained back 15 pounds, but I was maxed out. These days, I can’t eat enough to exceed the calories I burn through ordinary activity. Ultimately, tenacity and stamina carried me through my toughest battle. As I learned more about esophageal cancer, I found out that approximately 13,500 Americans contract it annually and 12,500 are dead within a year. I’m certain that my excellent physical condition enabled me to beat the odds, not to mention the best medical team on the planet, and the love and support of family and friends. And remember, regular physicals and early detection really do save lives. Ron Coury is the author of Tenacity: A Vegas Businessman Survives Brooklyn, the Marines, Corruption and Cancer to Achieve the American Dream: A True Story. This entry was posted in Health and tagged 360, 360 Magazine, American Cancer Societ, April, cancer, Corruption and Cancer to Achieve the American Dream: A True Story., Esophageal Cancer Awareness, health, recovery, ron coury, survivor, Tara McDonough, Tenacity: A Vegas Businessman Survives Brooklyn the Marines, Vaughn Lowery on March 18, 2019 by wp360mag. Imagine a time when you can go out drinking without worrying about the hangover you’ll have the next day. Thanks to NILO® Hangover Recovery that day is here! NILO® Hangover Recovery is an all-natural, vegan remedy that will help you go from zero to hero after a long night of celebrating. With NILO, which is packed with ingredients proven to aid in the prevention of hangovers, you can seize the day, everyday. The main ingredient in Hangover Recovery is a powerful antioxidant called DHM which is derived from Hovenia Dulcis, a Japanese tree. DHM accelerates liver detoxification and minimizes the negative morning-after effects of alcohol. After over a year of perfecting the Hangover Recovery formula, NILO® found just the right blend of DHM and other super antioxidants such as Glutathione, Milk Thistle, Chicory Root, Vitamin B Complex, and electrolytes. Step 1: Have a good time. Step:2 Take one full bottle while drinking. Step 3: Go to sleep and wake up like a superhero! 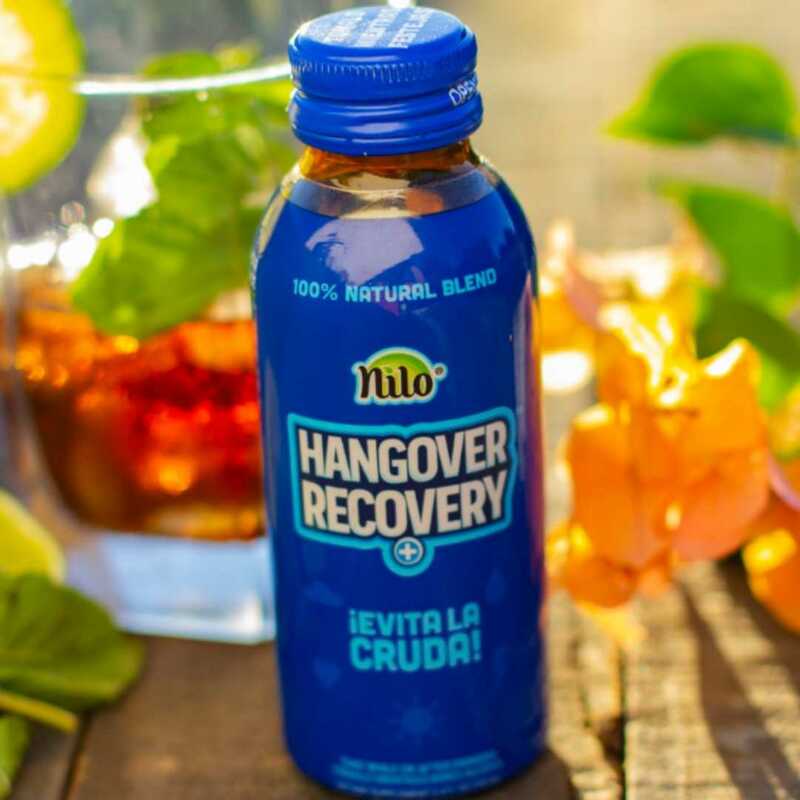 NILO® Hangover Recovery is available to purchase through the website or at select online and retail locations including Northgate Markets, Marketon, and Amazon. For more information about how Hangover Recovery works, visit https://drinkhangoverrecovery.com/ and follow @DrinkHangoverRecovery on Instagram and Facebook. 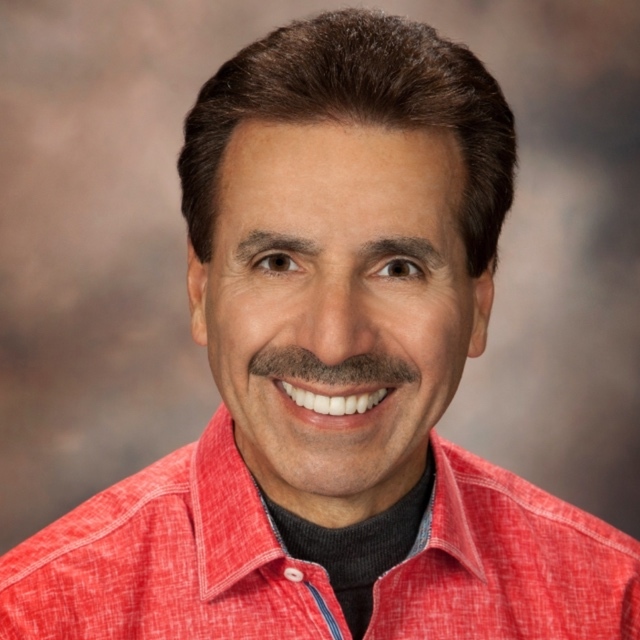 Said Chedraui founded NILO® in California in 2014. The premium brand was inspired by the Nile River, as this geographical landmark was the source of life to Ancient Egypt. NILO’s® first product was NILO® Pure Coconut Water with real coconut chunks which quickly gained popularity on the west coast and surpassed big brand names like Vita Coco and Zico in all retailers where NILO® Pure Coconut Water was offered. NILO® has since expanded to provide a variety of 100% natural Tropical Fruit drinks such as Guanabana Juice that derives from a super fruit known for its anti-Cancer properties. Its most recent product HANGOVER RECOVERY™ reduces the negative effects of alcohol. The company has continued to grow rapidly at 100% per year and selling $5MM after the second year. NILO® products are now offered at over 3,000 retailers such as Northgate Markets, Ralphs, Food4Less, etc. For more information on NILO®, please visit https://www.drinknilo.com/ or follow @DrinkNilo on Instagram and Facebook. This entry was posted in Spirits and tagged 360 Magazine, all-natural, alternative medicine, beverage, drinking alcohol, drunk, FDA-approved, fitness, hangover, health, Japanese, libations, press release, recovery, remedy, spirits, supplements, Vaughn Lowery, vegan, vitamins, Yahoo finance on February 27, 2019 by wp360mag. The injuries keep continuing to pile up for the Los Angeles Kings and today, they lost another player to a long-term injury. 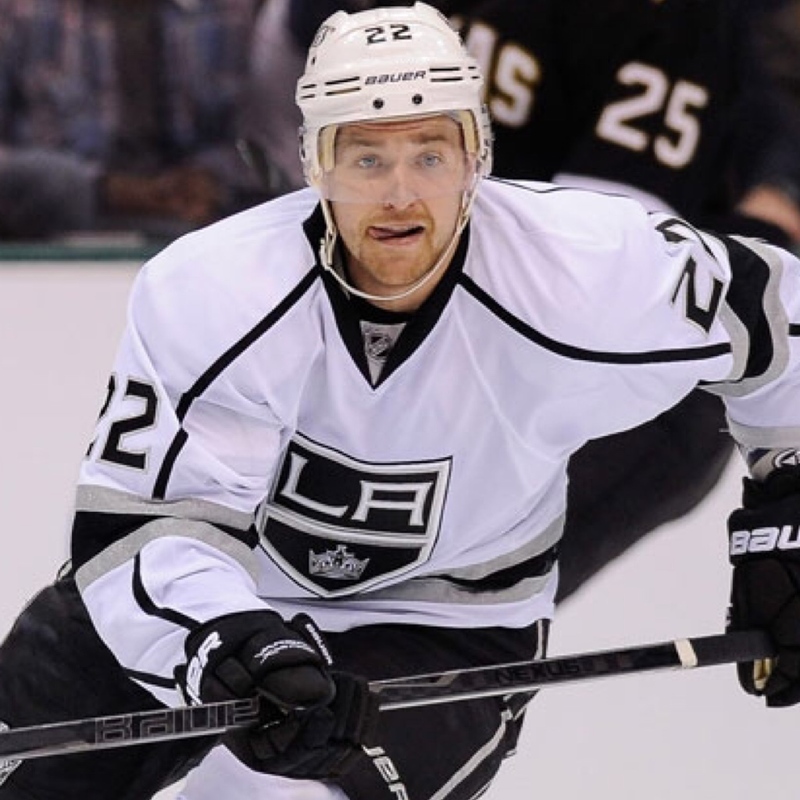 Forward Trevor Lewis broke his foot in morning skate on Friday and is out on a week-to-week basis. This news comes on the heels of the team recalling goalie Cole Kehler to replace Peter Budaj, who is battling an illness. Kehler will back up Petersen tonight and perhaps the next few games. Losing Lewis is a big blow for the Kings. Despite his lackluster offensive numbers on the season, he is a big key forward for them. He averages around 14 minutes a night and he is regularly on the penalty kill. His stats this season were also in the positive, despite him only having three points in 17 games. He is still very reliable and in tough situations, interim head coach Willie Desjardins has put him out there. In his absence, newcomer Carl Hagelin will most likely pick up the penalty kill minutes. However, it’s still unclear who might get the increased opportunity up front, as Hagelin may not be the immediate answer beyond the penalty kill. Hopefully, Lewis can recover and get back onto this team before any more damage can be done. However, his injury and the recent trade of Tanner Pearson may either be bad news or it could allow younger and more excited rookies to get into the lineup and produce. This entry was posted in Sports and tagged 360 Magazine, broken bone, forward, Global Society, Go Kings Go, Hockey, hockey forward, hockey player, injured reserve, injuries, kings, LA Kings, long-term, Los Angeles, Los Angeles Kings, National Hockey League, NHL, NHL injuries, NHL trades, offense, offensive numbers, opportunities, penalty kill, pop culture, recovery, Reid Urban, sports, superstar, Trevor Lewis, Vaughn Lowery on November 16, 2018 by wp360mag. Fighting cancer is a huge challenge. From radiation to chemotherapy, to target therapy, stem cell transplants – there are many different ways to fight it. Trying to target the cancer this way, however, will never be quite as effective as removing it from its source. Surgery does not always mean amputations, either. You can get cryosurgery in order to freeze and kill the cancer with liquid nitrogen. Or you can kill it with lasers, or even hyperthermia. Most people who have cancer opt for surgery, because if successful it can completely or at least partially remove or kill off the cancer cells, thus stopping, halting, or slowing down their cancer’s growth. Depending on the surgery, they might need plenty of rest time to heal correctly. If they are completely bed-ridden, then you need to prepare adequately. Though it can be absolutely beneficial for your loved one to heal at home, rather than in a hospital, it means you need to prepare. 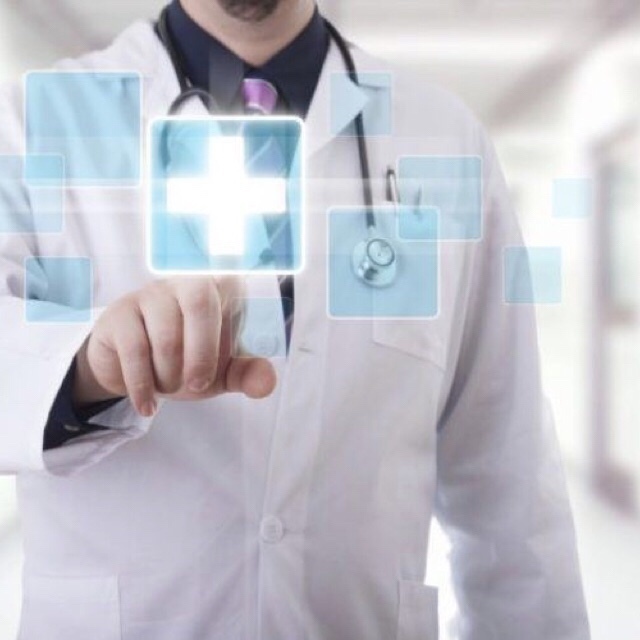 Aside from specific medical equipment prescribed by your doctor, you will also need a stockpile of items like dry-touch adult diapers with tabs for nighttime, and in case you need to leave the house, sponge-bath equipment, as well as items like a bed tray to make their recovery easier and more comfortable. Even if they are only bed-ridden for a few days, these items can ease the time and make it more comfortable for them. Healthy eating is a key part to healthy living, and that is especially true when you are battling cancer. This is more so true when you are healing after surgery. The only thing to remember is that you cannot give your body “extra doses” of vitamins, because that is not how it works. Instead, focus on providing your loved one a healthy and balanced diet as per the doctor’s instructions. The body needs to be at its best to heal as quickly as possible, and getting those nutrients it needs from food is a great way to go. If the at-home care is a bit beyond simply redressing the wound and cleaning them if they are completely bed-ridden, then it could be wise to hire an at-home nurse or getting the training yourself. It will depend, of course, on what your options are based on your health insurance and state. You could even be paid to care for your loved one, depending on your circumstances. Having cancer is a terrifying battle, for both the patient and their family. Going through surgery can either remove it entirely or significantly reduce the size of it, thus improving their chances. It is your love and compassion, however, that will really help them, because no medicine will compare to the company of a loved one. This entry was posted in Uncategorized and tagged 360, 360 Magazine, At-Home nurse, Avacaremedical, caring for a loved one, chemotherapy, health, healthy eating, healthy living, laser treatment, Madison Smushkevich, Medicine, recover, recovery, stem cell transplant, surgery, Vaughn Lowery on October 10, 2018 by wp360mag. When it comes to dating, “let’s grab a drink” is often the go to first date invitation. Many opt to cure first date jitters with a libation or two to “chill out” and feel more comfortable. What happens if you are a recovering alcoholic and you can’t opt for “liquid courage” to get you through those awkward dating moments? For approximately 30-million Americans who identify as recovering from alcohol abuse, dating while sober is often a tricky reality. 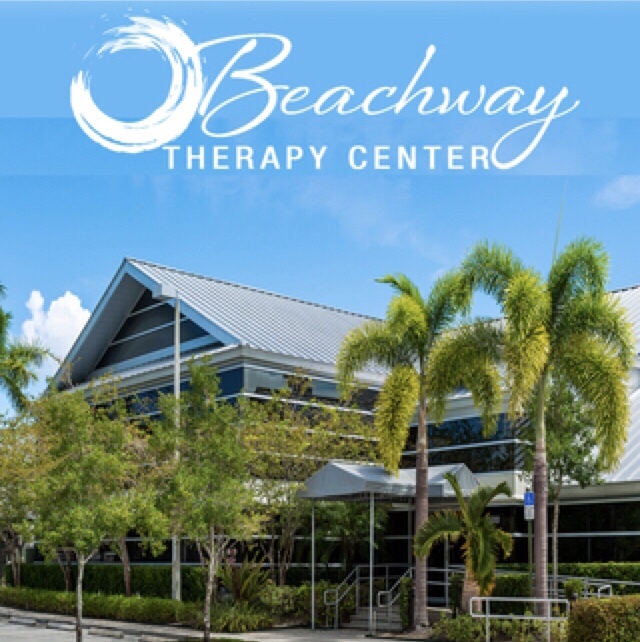 With tips on how to pass on booze but not on love, is Dr. Duy Nguyen, D.O., a Board-Certified Psychiatrist in General Psychiatry practicing at Beachway Therapy Center, a drug and alcohol rehab in Boynton Beach, Florida. 1. Take the lead and suggest a dry date. The easiest way to maintain sobriety is to avoid situations where alcohol is present. Having several alcohol-free dating options already in mind can empower you to steer the date in a dry direction more easily. Opt for daytime dates that are more activity focused, get you outside enjoying quality time together away from any bar. “Doing activities that aren’t conducive to drinking such as museums, galleries, fairs, and festivals could be fun. People who don’t drink often are the most creative when it comes to choosing fun dates,” says Dr. Nguyen. 2. Create your new story and get honest. In the spirit of 12-step recovery, which emphasizes the importance of self-honesty, aim for truthfulness in how you present yourself. If an on-line dating profile questionnaire asks how much you drink, don’t let fear about what others may think prevent you from checking the “Never” box. “Frame out when and how you plan to reveal what inspired your decision not to drink. Simply saying that you no longer drink alcohol is enough in the beginning. When you get to know someone better then share your story from a place of an achievement you’re proud of,” Dr. Nguyen encourages. 3. Get clear on what you want in a partner. If someone has an issue with you not drinking, then they clearly aren’t the right person for you and that’s okay. Decide if you would prefer to date someone who understands recovery, may even have been through it themselves or is a health enthusiast who also doesn’t drink. If you decide that you want to date non-recovering people, it’s best to have some clean time under your belt and be solid in your recovery, as this can lead to tempting situations. 4. Trust your gut, nerves can be a good indicator! 5. Don’t make love the new addiction. “Being sober will probably increase the number of awkward pauses, says Dr. Nguyen. “We’re sharper and more present when we’re not drinking which can actually be used as an advantage to navigate conversation and ask the other person about themselves which enables a deeper connection and more trust,” he adds. 7. Keep first dates short. The majority of first dates that extend into the wee hours of the morning are alcohol fueled and can lead to unintended promiscuity. Dr. Nguyen suggests going into the date with a self-imposed time frame in mind, two to three hours and then making another date if there’s interest. For a recovering alcoholic, especially someone in early sobriety, being “forced” to bar hop will be like white knuckling it on a scary roller coaster. This entry was posted in Health and tagged 12 step match, 360, 360 Magazine, aa dating service, alcohol-free dating, Beachway, Beachway Therapy Center, dating, Duy Nguyen, fair, festivals, galleries, Madison Smushkevich, museums, psychiatrist, recovery, Sober, Sober Dating, Sober dating service, Sober singles date, Vaughn Lowery on October 1, 2018 by wp360mag. “After mostly speaking at colleges in recent years, I’m so excited to get back into music venues. 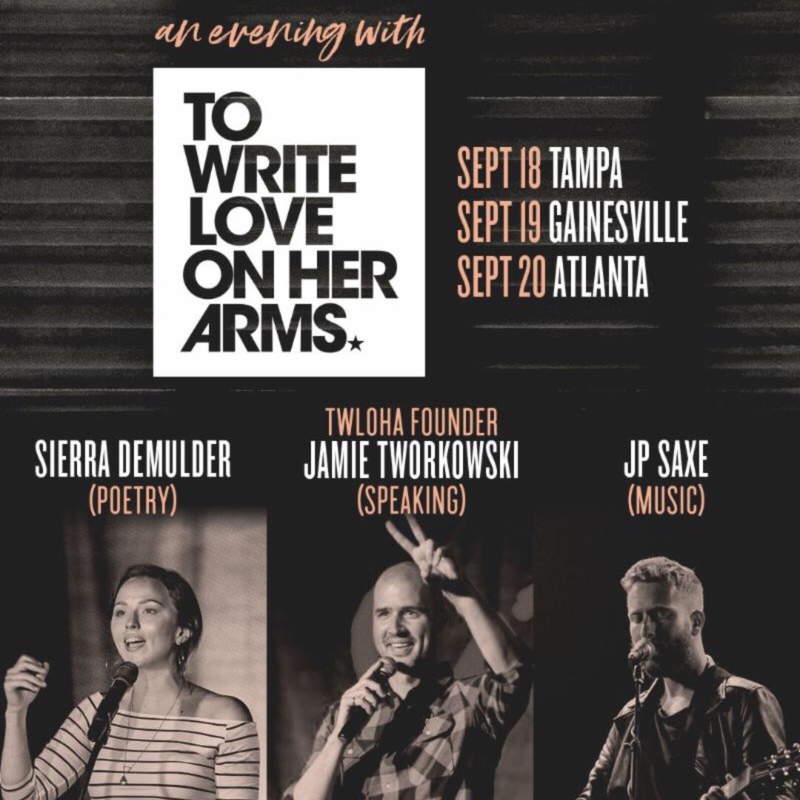 These will be small ticketed shows, which represent something new for TWLOHA and for me. If these go well, our goal is to add more dates so that we can bring these nights of hope to folks all over,” shares Tworkowski. Where: The Attic // 1510 E. 8th Ave.
Where: High Dive // 210 SW 2nd Ave.
To Write Love on Her Arms is a nonprofit dedicated to presenting hope and finding help for people struggling with depression, addiction, self-injury, and suicide. It exists to encourage, inform, inspire, and also to invest directly into treatment and recovery. Since its start in 2006, TWLOHA has donated over $2.1 million directly into treatment and recovery and answered over 200,000 messages from over 100 countries. This past September, TWLOHA wrapped its 6th annual campaign to honor National Suicide Prevention Week and World Suicide Prevention Day. The organization was overwhelmed by the amount of love and support shown during this year’s campaign, titled, “Stay. Find what you are made for,“during which over $103.5K was raised for treatment and counseling. 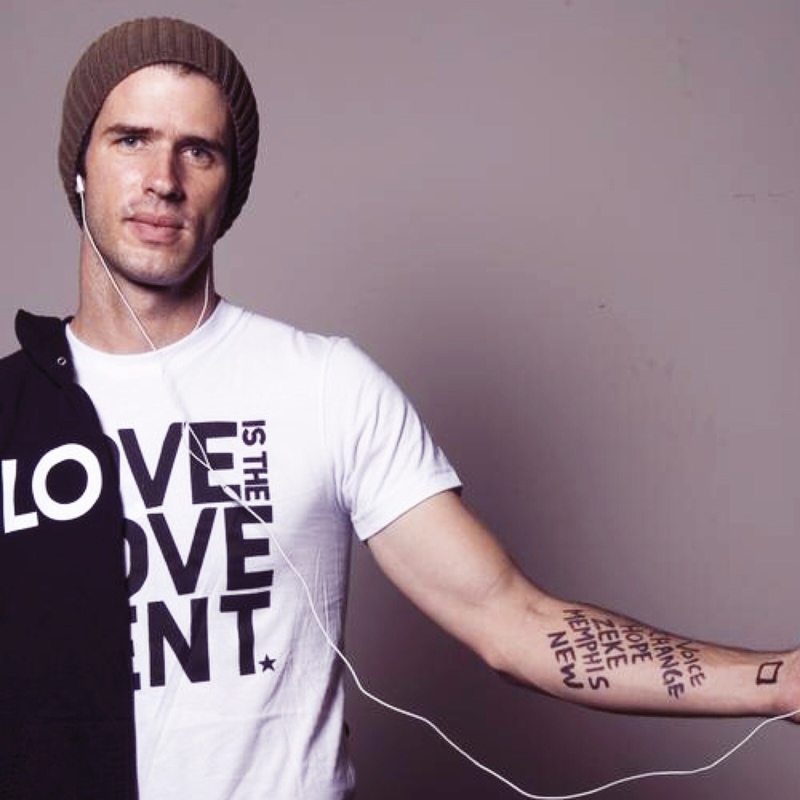 The campaign was shared by supporters all over the world, including NBA player Kyle Korver, US Women’s National Soccer Team stars Alex Morgan, Christen Press, and Ashlyn Harris, actress Shantel VanSanten, Switchfoot‘s Jon Foreman, Dustin Kensrue of Thrice, actress and singer Debby Ryan, The Ready Set‘s Jordan Witzrigreuter, and Jess Bowen of The Summer Set, all of whom were featured in a special video message directed by Dustin Miller, a Florida-based filmmaker and longtime TWLOHA collaborator: https://youtu.be/37cB2CQt_YA. This entry was posted in Uncategorized and tagged 360 Magazine, addiction, An Evening With To Write Love on Her Arms, Atlanta, dates, depression, Dylan Worcel, encourage, fl, Gainesville, Global Society, hope, inform, inspire, Jamie tworkowski, JP Saxe, love, mental health, mental health awareness, poetry slam, recovery, self-injury, Sierra DeMulder, suicide, Tampa, to write love on her arms, tour dates, tour. ‪September 18-20‬, treatment, TWLOHA, TWLOHA founder, Vaughn Lowery on August 6, 2018 by wp360mag. 25-year-old American singer, songwriter, and actress, Demi Lovato was found lying unconscious in her home on Tuesday after a suspected overdose. She is currently recovering and receiving treatment at a hospital in LA. Lovato has stated how she has previously had issues dealing with eating disorders, self-harm, addiction, and mental health problems. 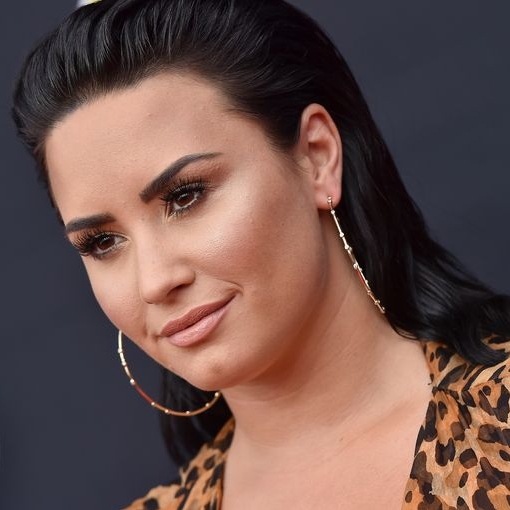 She had also made a documentary regarding her struggles that affected her daily life along with trying to stay sober, but in June 2018 Lovato released a new song titled Sober in which she sings “I’m not sober anymore.” Her documentary went on explaining how these problems began at a very young age, such as having suicidal thoughts and bulimia when she was only 10 years old, and trying cocaine for the first time when she was 17. Even before starting the hit series on Disney Channel’s “Sonny with a Chance” and “Camp Rock,” she had been a huge target for bullying. There were many struggles and pressures on her as she drove quickly to fame at such a young age. Lovato is currently receiving lots of support from fans and celebrities throughout social media while wishing her a quick recovery. This entry was posted in Uncategorized and tagged 360, 360 Magazine, actress, addiction, American, Atrin Yazdani-Biuki, bulimia, bullying, Camp Rock, Celebrities, cocaine, Demi Lovato, Disney, Disney Channel, Documentary, eating disorders, fame, fans, Global Society, hollywood, hospital, la, Lovato, mental health problem, music, musician, overdose, popular, pressure, recovering, recovery, self-harm, singer, Sings, Sober, social media, song, songwriter, Sonny with a Chance, suicidal thoughts, treatment, USA, Vaughn Lowery on July 26, 2018 by wp360mag.